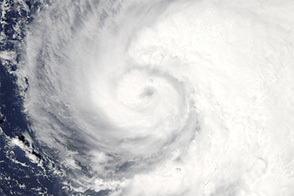 Hurricane Nicole bore down on Bermuda on the morning of October 13, 2016. The storm broke records as it stirred up the Atlantic Ocean for more than a week, growing to a category-4 storm. As it neared the island, Nicole became the second category 4 or 5 storm in the Atlantic Ocean this year—the first time on record that the Atlantic has had two category 4 or 5 storms in October. Nicole became a tropical storm on October 4, circled the tropical Atlantic for several days, and then gained intensity as it approached Bermuda on October 12. 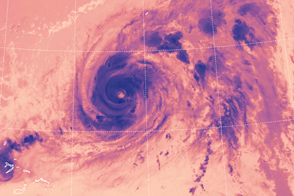 NOAA’s Geostationary Operational Environmental Satellite 13 (GOES-13) captured this natural-color image of Hurricane Nicole at 11:15 a.m. local time (14:15 Universal Time) on October 13, 2016, just before the eyewall made a direct hit on Bermuda. 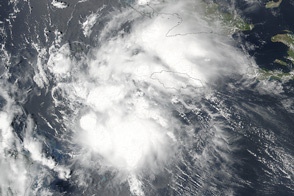 At the time, the storm was moving northeast at 16 miles (26 kilometers) per hour, with maximum sustained winds of 120 miles (195 kilometers) per hour, according to the National Hurricane Center. The island rarely sees direct hits from major hurricanes. So far, only seven major hurricanes have passed within 40 nautical miles (46 miles or 74 kilometers) of Bermuda since records began in 1851, according to the U.S. National Hurricane Center. The map (below) of historical storm tracks since 1859 shows storms that passed over or near Bermuda in light blue, with major storms (category-3 and higher) in deeper blue. 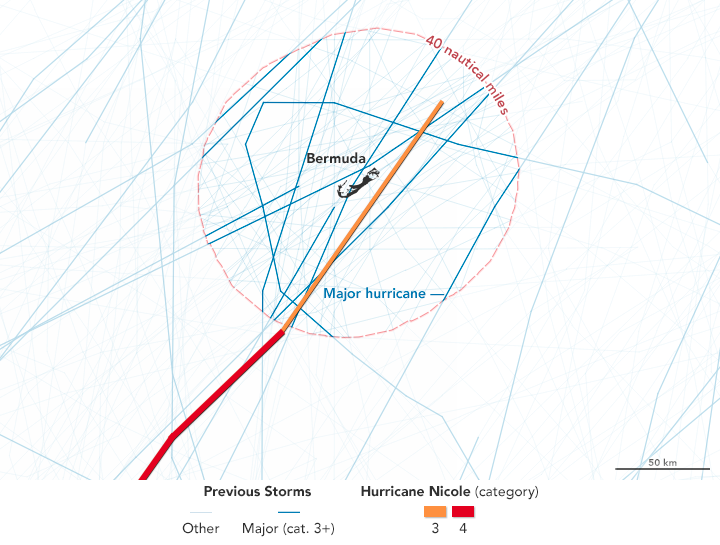 Hurricane Nicole appears in orange and red. 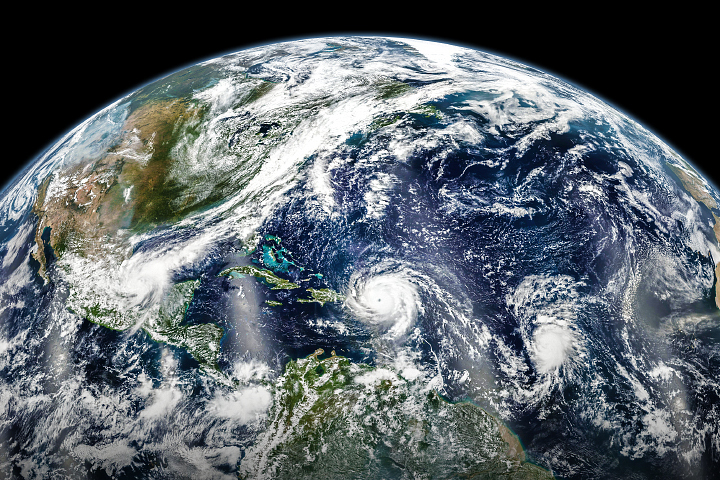 This year’s hurricane season has proven to be a busy one in the western hemisphere. “The Atlantic has had more major hurricane days in 2016 than in 2012 thru 2015 combined,” wrote meteorologist Philip Klotzbach of Colorado State University in a tweet. 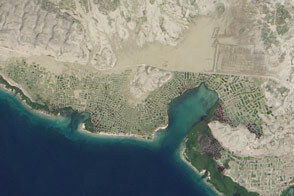 Beyond the impacts on the island, which are still being assessed, Nicole’s reach has extended beyond the surface of Earth, delaying the arrival of supplies to the International Space Station. The launch of a rocket and cargo vessel from NASA’s Wallops Island Flight Facility is on pause while mission controllers await clearer skies and damage reports from a tracking station in Bermuda. The cargo vessel will transport 5,000 pounds (2,300 kilograms) of supplies. 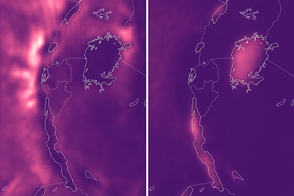 NASA Earth Observatory maps by Joshua Stevens, using data from the NASA-NOAA GOES project and Unisys Weather. Caption by Pola Lem. Despite its location near the warm Gulf Stream, the island rarely sees direct hits from major storms. The 2016 Atlantic hurricane season runs from June 1 through November 30. 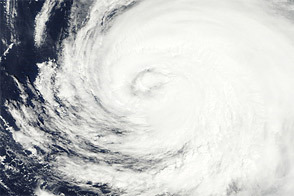 NASA (October 13, 2016) Nicole (Atlantic Ocean). Accessed October 13, 2016. 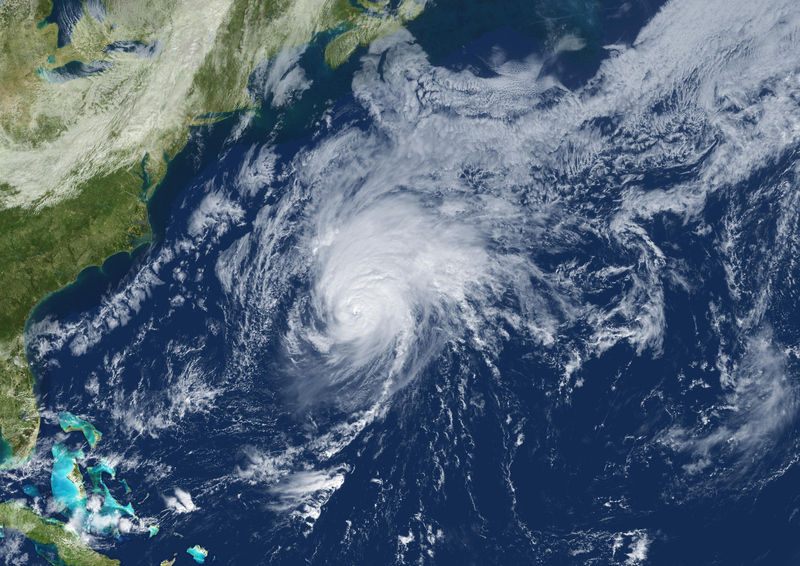 NASA Earth Observatory (October 16, 2015) Hurricane Gonzalo Approaching Bermuda. 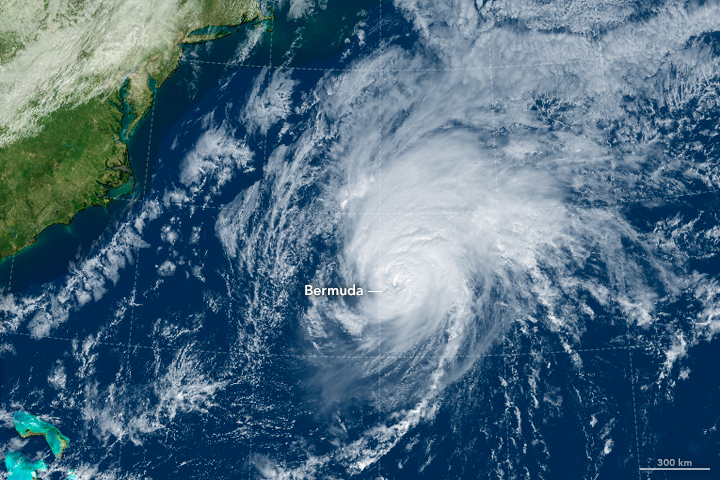 NASA Earth Observatory (October 12, 2016) Hurricane Nicole Bears Down on Bermuda. National Hurricane Center (2016) Hurricane NICOLE. Accessed October 13, 2016. The Weather Channel (October 12, 2016) Hurricane Nicole a Likely Hurricane Strike For Bermuda Thursday. Accessed October 13, 2016. The Royal Gazette (October 12, 2016) Island Braced for Direct Hit. Accessed October 13, 2016.